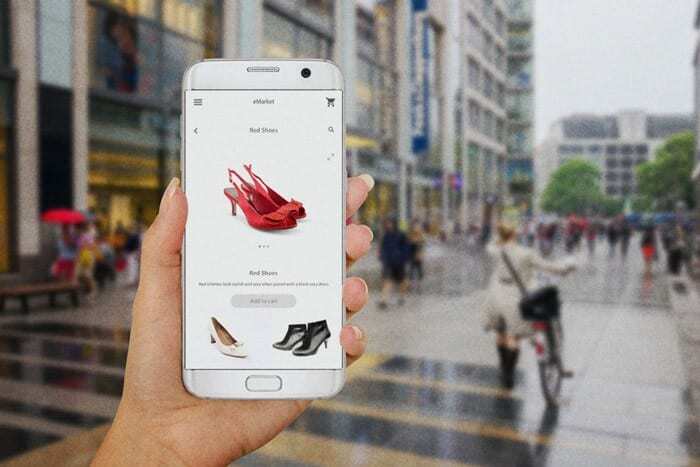 It seems like hardly a week passes without a story about new developments in e-commerce. Robots work alongside people at new Amazon warehouses, and sketch comedy shows like IFC’s Portlandia riff on the boom in mail-order art on online jewelry. You can now subscribe to everything from snacks to dog toys to razors, and the supplies you need simply show up at your door. As online marketplaces like Amazon have grown and new trends in e-commerce emerge constantly, many small business owners are beginning to question whether they should sell products on their own online stores, marketplaces, or both, in the form of a multi-channel e-commerce strategy. The following 5 questions will help you evaluate your business and determine whether a multi-channel e-commerce strategy is right for you. 1.Where do your customers shop? Many articles emphasize the importance of evaluating other e-commerce websites to understand your competition. While this is important, it leaves out another key source of potential competition: online marketplaces such as Amazon, eBay, and Etsy. 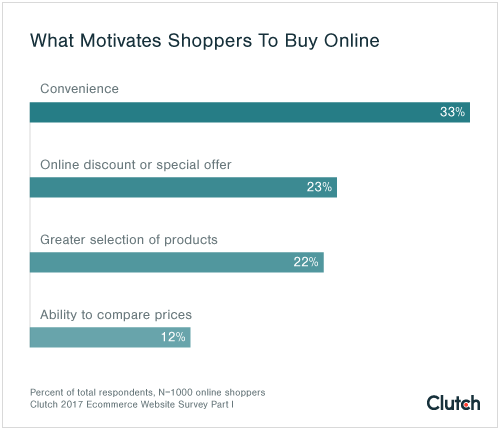 According to a new survey on how to engage online shoppers by Clutch, a Washington DC-based ratings and reviews firm, nearly 70% of online shoppers head straight to an online marketplace when they want to purchase something online. But the research also suggests that online marketplaces don’t have to be your competition. Many small businesses are now exploring multi-channel e-commerce strategies in which they sell products on online marketplaces in addition to their own websites. To maximize sales and revenue, small businesses should evaluate where their audience is actually shopping, and then determine if it makes sense to sell through multiple channels. Browse popular online marketplaces to see if products like yours are popular, or if there is an opportunity to fulfill an unmet need. 2. What types of products are you selling? The type of product you sell should be a guiding force behind your e-commerce strategy. Research can help you discover online marketplaces suited for your products. Typically, businesses that sell a high volume of a few products tend to do well with multi channel e-commerce. A clothing retailer might find that basic t-shirts sell well on Amazon, while reserving more unique items that are less likely to appear in general searches for their online store. A multi channel e-commerce strategy should evaluate how likely a potential customer is to search for products like yours on a particular online marketplace. Because online marketplaces prioritize items over sellers, many retailers opt to only list select products on online marketplaces, rather than their entire inventory. Overall, the products retailers are selling should determine whether selling on an online market is a viable option, as well as which online marketplace is the best match. 3. How are your products priced? 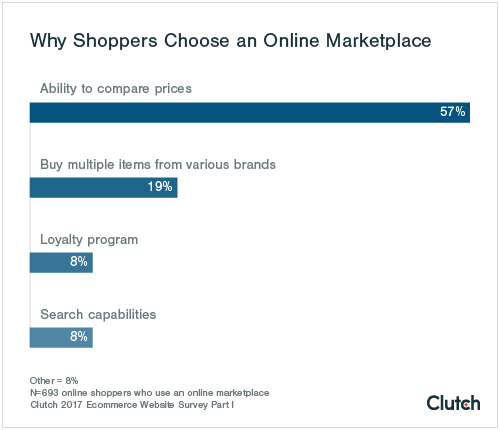 Clutch found that 57% of online shoppers who prefer online marketplaces are seeking the lowest price by comparing brands. Since price is the main factor motivating online shoppers, you should be certain that you can sell your products at a competitive price without losing revenue. In general, this means that retailers who specialize in expensive or highly customized products may not be appreciated by Amazon or eBay shoppers who are simply seeking the best possible deal. However, this survey data obscures the existence of online marketplaces such as Etsy that are designed for unusual or handmade items, as well as vintage and antique goods. Businesses that sells these types of goods might do well to list their products on these types of online marketplaces, where shoppers value the process used to make an item and be willing to pay for it. 4. How do you organize your sales? An increased volume in sales might seem like a purely good thing to online retailers, but developing a system to track the fulfillment requirements and pricing for different orders can quickly become a challenge. Online marketplaces have specific rules to ensure that online shoppers have a uniform experience despite purchasing from a range of sellers. For example, some online marketplaces might require orders to be fulfilled within a short time frame, or you may run different promotions on various platforms. Selling on multiple channels can also present inventory complications. Some small business owners choose to maintain two separate inventories to prevent accidentally selling the same item on two different platforms. When it comes to developing organizational systems for multi-channel e-commerce, some multi-channel retailers are diligent about creating unique tracking codes for every order to ensure nothing slips through the cracks. However, at a certain volume of sales, this system becomes unsustainable for most. The solution? E-commerce website builders can automatically pull sales across all platforms and organize them into a single, streamlined interface. 5. What role does your website play? With so many online shoppers turning to online marketplaces, some small business owners might wonder why they should have a website at all. Is the expense and effort worth it? For most businesses, the answer is yes. As we touched on earlier, online marketplaces prioritize items over retailers. This means that your online store remains a vital point of contact for customers who are interested in learning more about your brand, finding exclusive items, or viewing FAQs. Although you might find that your sales are increasingly flowing in from online marketplaces, your website remains the most important way to show online shoppers what makes your brand so special.